Reprinted from The Washington Post by Michael Blood on February 10, 2018. 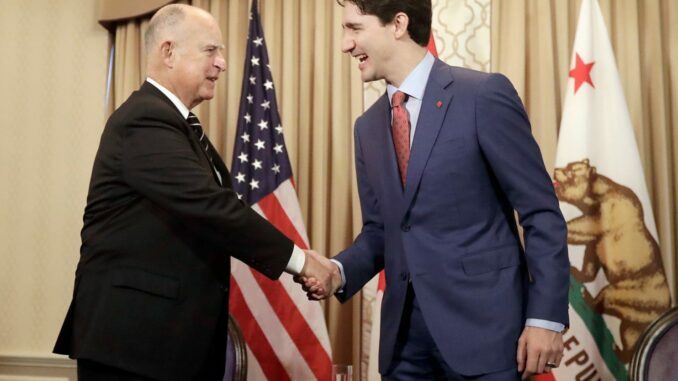 Canadian Prime Minister Justin Trudeau came with an unambiguous message on his latest US visit: the North American Free Trade Agreement is a success that needs to be modernized, not abandoned. With the next round of talks over the trade pact set to begin in Mexico later this month, Trudeau used a speech at the Ronald Reagan Presidential Library on Friday to cast the deal as part of a long history between the two countries that has been beneficial for both. Yet he also echoed frequent criticism from President Donald Trump, who has threatened to pull out of NAFTA, that too many workers are being left behind in the global economy.